After we received 2 bunches of beets in last week’s box, we were left wondering…”what the heck do we do with these?” I’ll admit, I don’t love a lot of beet dishes. But when I looked up recipes for soups, etc, I was inspired. I started out making a soup, but when we tasted it straight out of the food processor, we realized it tasted great as a spread…a pate of sorts. * Roast the beets: wash them and then wrap them in foil. Toss them in a 400-45o degree oven for about 30 minutes (or sooner…you want them soft). While they are roasting, grind the fennel seeds in a spice grinder. If you have time chill beets in the refrigerator (I did the roasting one night and the puréeing the next but an hour should suffice. Once the beets are soft, and cool, cut off the ends. Toss into the food processor. Add the onion, walnuts fennel powder, chilli powder, and salt. 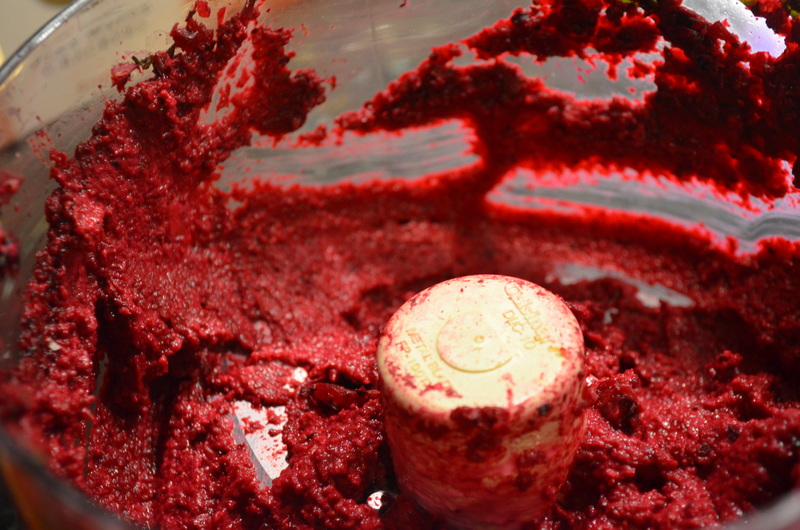 Process/puree until smooth. Add in the yogurt (a little at a time. you may not need all of it). Spread a spoon full on a cracker and enjoy. This entry was posted in CSA, Recipes, side and tagged beets, CSA, garden, vegetarian. Bookmark the permalink. Making it this weekend. Thanks for this one. 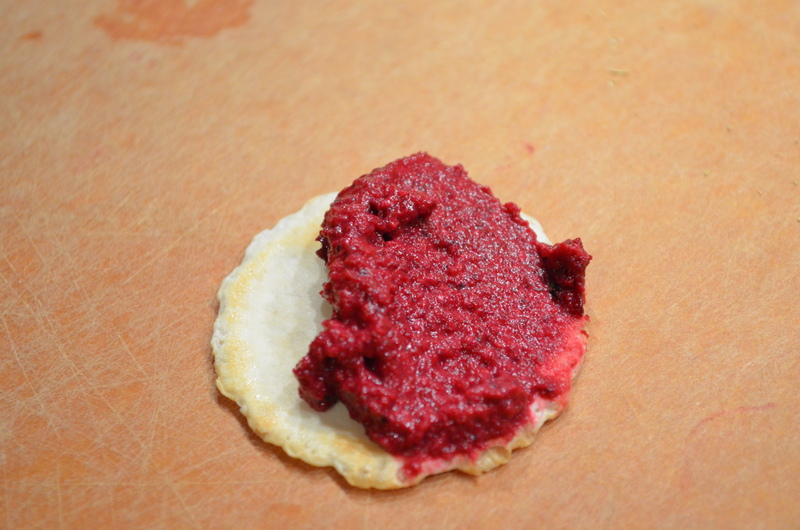 I’ve found a few ways to enjoy beets but not this way – not yet. What a great idea! This is a form of beets I have never heard about before…but it looks delish!